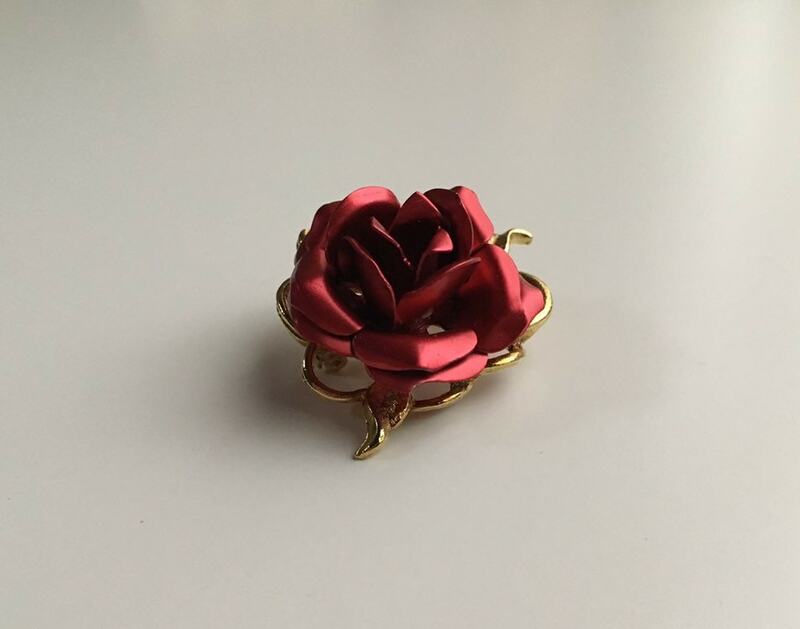 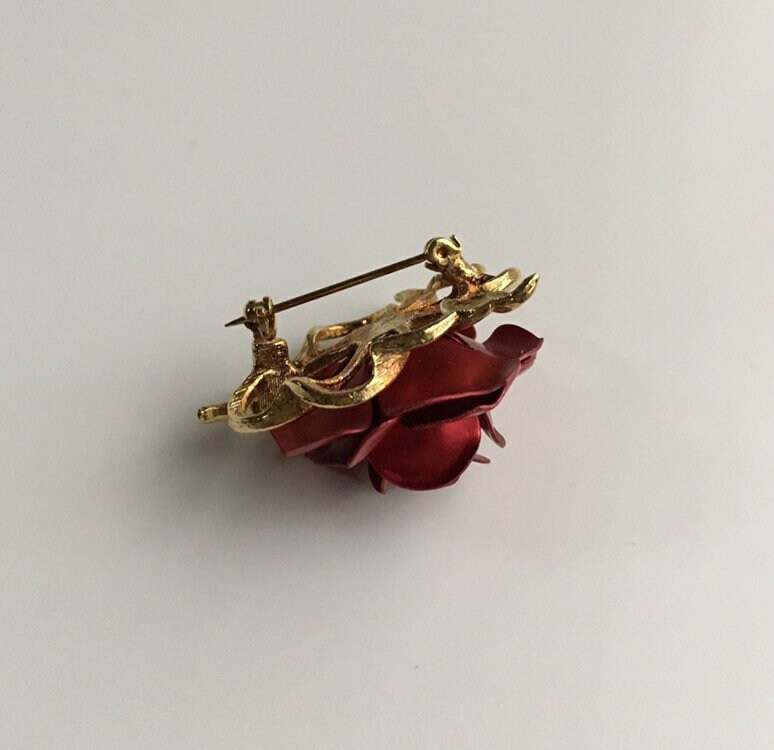 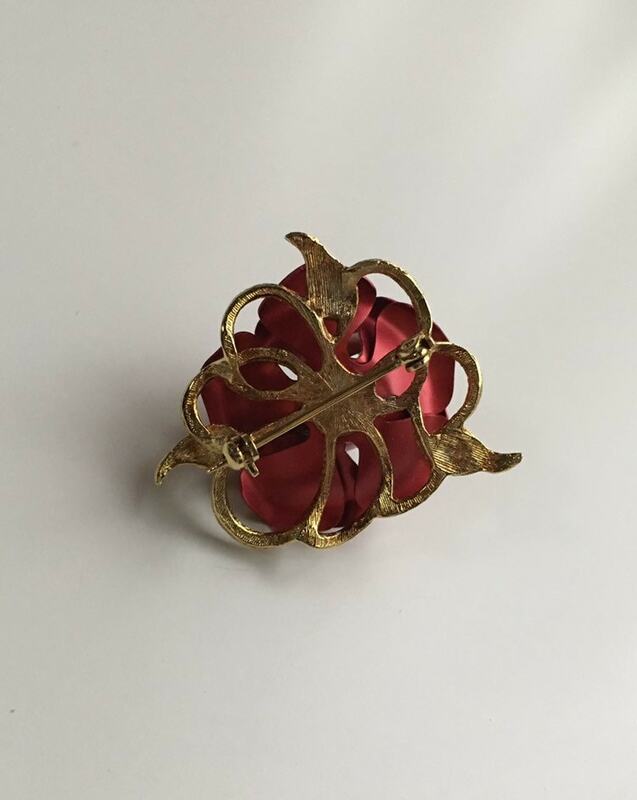 Vintage 1950s red metal rose brooch pin with gold-tone metal backing. 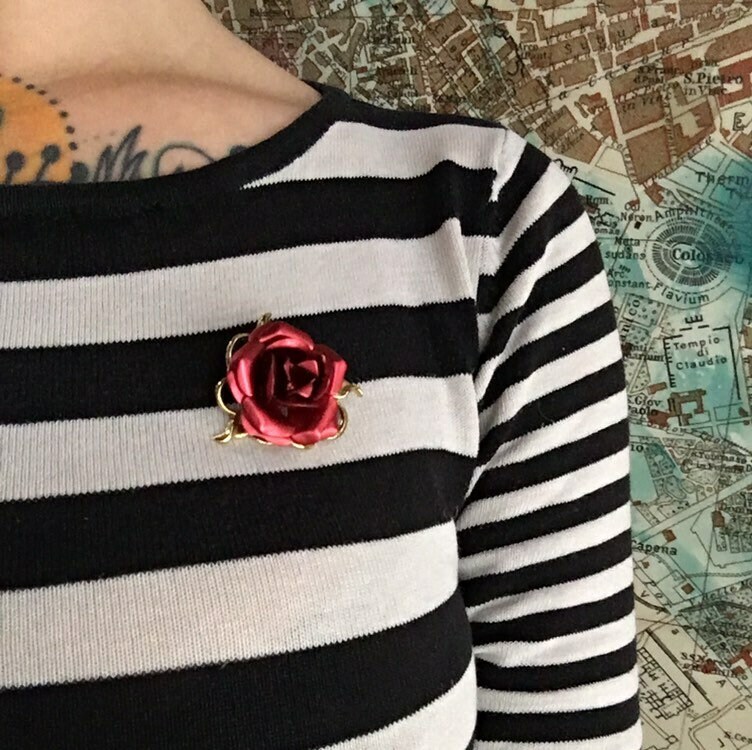 Near perfect vintage condition; little to no wear from age. 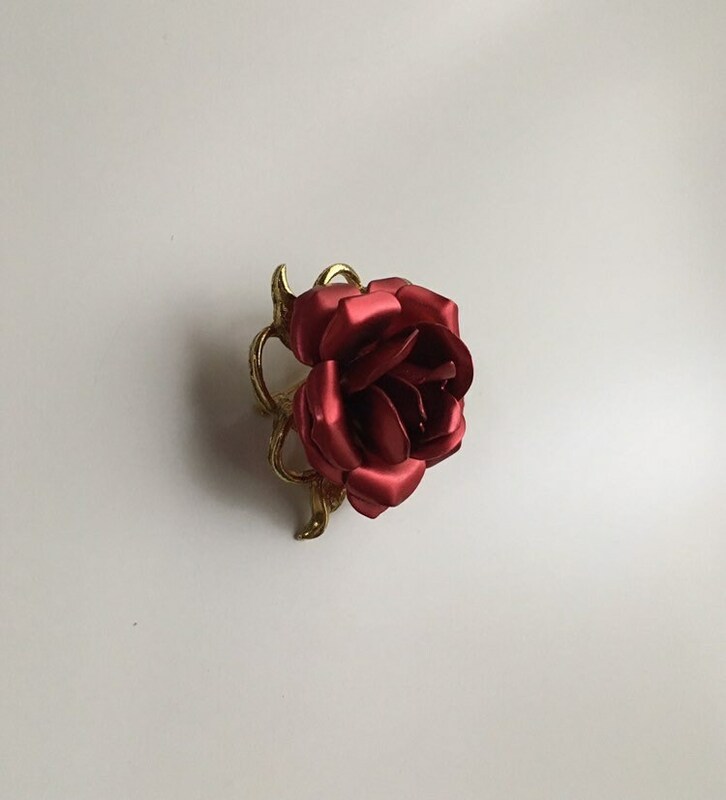 No deep scratches, chips, markings, rust, areas of fading or discoloration, or other damage / issues. 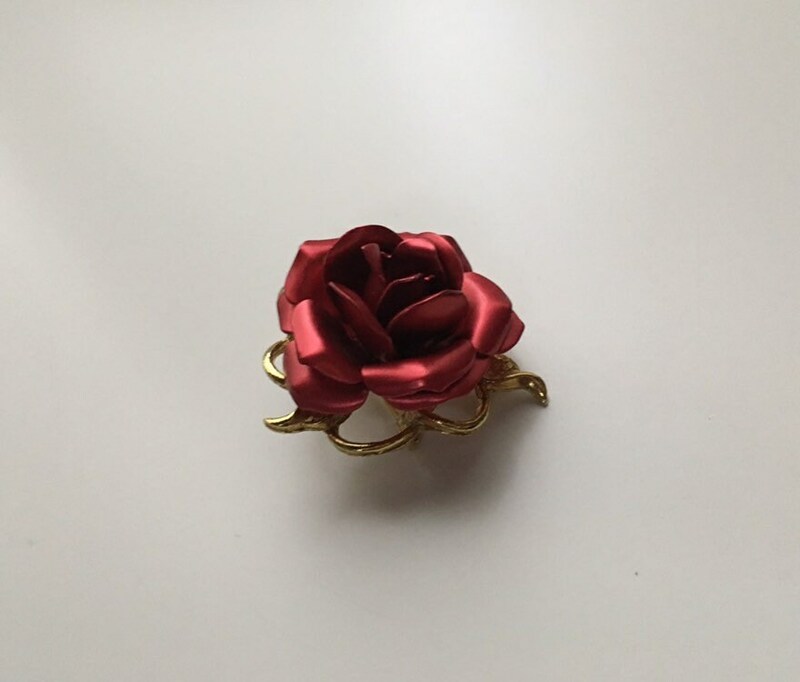 Red metal rose petals are clean, crisp and securely attached. 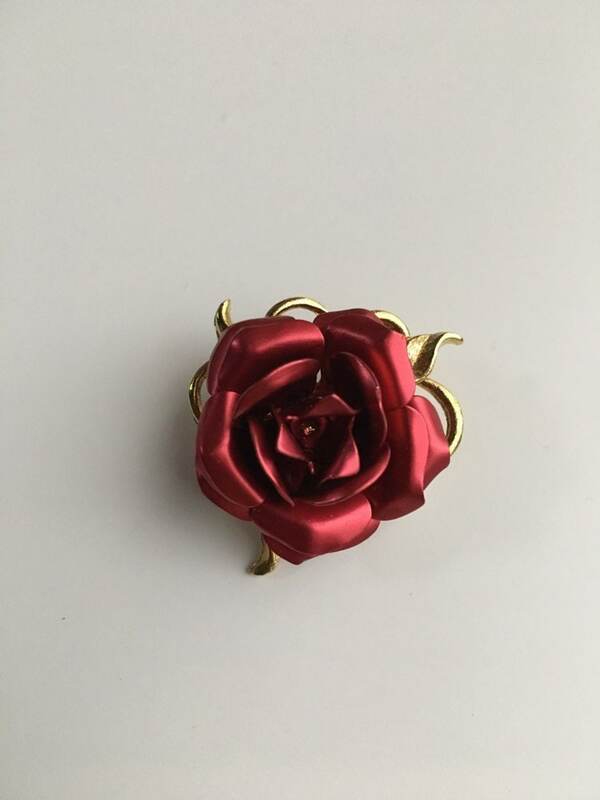 Gold metal backing has three small leaves that are visible along outside edges of rose when brooch is worn.